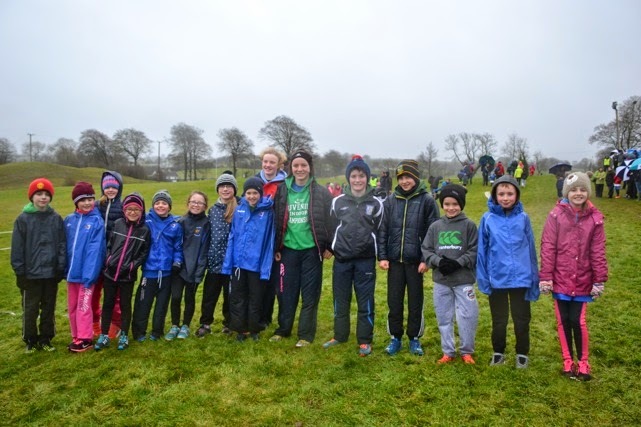 The Meath Community Games Cross Country was held last Sunday in Ballinacree. The Weather took a turn for the worse which made for very difficult racing conditions but none the less our athletes put in some great performances. Kate Rafferty, Katie Doherty and Molly Moran all ran well in the u9 girls 500m, Laura Kelly and Ciara Coroner had a great run in the girl’s u10 500m finishing 1st and 2nd. Harry O’Connor left it late in the u10 boy’s race but took gold after a late surge to the line. Aimee Doherty also running well finished 2nd in the girls u12, Tom Kilgannon was an impressive winner of the u12 boys race, Eoin Kane running strongly out of age and Fionn Drummond who is just back from injury also putting in good performances. Lili O’ Connor claimed silver in the u13 girls 1200m and Zara Kane finished 3rd in the girls u14 700m event.